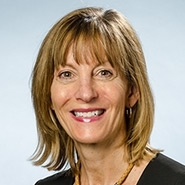 PHOENIX, Ariz. — The national law firm of Quarles & Brady LLP today announced that Diane Haller, a partner in its Phoenix office and past-chair of its national Real Estate practice group, has been named Best Lawyers’® 2018 “Lawyer of the Year” for Real Estate in the Phoenix metropolitan area. Each year, Best Lawyers compiles its list of “Lawyers of the Year.” Only a single lawyer in each practice area and designated metropolitan area is so honored. Lawyers with this designation are chosen based on peer-review assessments conducted with thousands of leading lawyers each year. Receiving this honor reflects the respect a lawyer has acquired among other leading lawyers in the same practice areas throughout the same communities. In total, 16 Quarles & Brady attorneys across the country were selected by their peers for this honor. Haller, chair-elect of the Phoenix Community Alliance, focuses her practice on highly complex transactions, land development deals, and portfolio transactions. Her clients include pension funds, public and private companies, national and local developers and homebuilders, and investors. Her work for these clients includes advising on all aspects of development; financing as borrower; acquisition, disposition, sale and leasing of office and commercial properties, master planned communities, mixed-use developments, and redevelopment projects. She received her bachelor’s degree from the University of Utah and her law degree from the University of Notre Dame.